Several Alert Janeites sent us an article from the Daily Mail that had us alternately bewildered, fascinated, bemused, and howling at the inadvertent hilarity. As the Base Ball season is upon us again, it seemed appropriate to take a turn in the batter’s box with the Cluebat of Janite Righteousness; because there is so much wrong here, Gentle Readers, oh so much wrong. Darcy doesn’t really brood, though. He’s just rude, at least in the beginning. The fact that Jane always made light of her disappointment has hitherto been attributed to her discreet character, but could the truth be that she was not deeply touched by Tom? A fascinating new book claims that Jane Austen’s remarkable insights into the tortures of love and failed romance indeed came first-hand, though not because of her experience with Tom Lefroy, but on account of a suitor far more important to her, a young clergyman called Samuel Bicknall. Not only were her dreams of marrying Sam thwarted, but the match was sabotaged by her own beloved sister, Cassandra, who also lusted after him. As a result, Jane experienced one of the worst torments that can happen to anyone, betrayal by the two people she loved most. So when the matchmaker Mrs Lefroy reported she had received a letter from young Samuel Bicknall in which he expressed interest in getting to know the Austen family better and even speculated he might get really close to them – ‘though at present I cannot indulge any expectation of it’ – Jane couldn’t keep the news to herself. She showed me a letter which she had received from her friend a few weeks ago (in answer to one written by her to recommend a nephew of Mrs. Russell to his notice at Cambridge) towards the end of which was a sentence to this effect: ‘I am very sorry to hear of Mrs. Austen’s illness. It would give me particular pleasure to have an opportunity of improving my acquaintance with that family with a hope of creating to myself a nearer interest. But at present I cannot indulge any expectation of it.’ This is rational enough; there is less love and more sense in it than sometimes appeared before, and I am very well satisfied. It will all go on exceedingly well, and decline away in a very reasonable manner. There seems no likelihood of his coming into Hampshire this Christmas, and it is therefore most probable that our indifference will soon be mutual, unless his regard, which appeared to spring from knowing nothing of me at first, is best supported by never seeing me. There seems no likelihood of his coming into Hampshire this Christmas, and it is therefore most probable that our indifference will soon be mutual,’ she concluded defensively, possibly to guard herself from the disappointment she had felt the last time she thought someone had loved her. Or maybe, you know, she was indifferent to him. Considering what she wrote about him later, it seems likely. I wonder whether you happened to see Mr. Blackall’s marriage in the papers last January. We did. He was married at Clifton to a Miss Lewis, whose father had been late of Antigua. I should very much like to know what sort of a woman she is. He was a piece of perfection–noisy perfection–himself, which I always recollect with regard. We had noticed a few months before his succeeding to a College living, the very living which we recollected his talking of, and wishing for; an exceeding good one, Great Cadbury in Somersetshire. I could wish Miss Lewis to be of a silent turn and rather ignorant, but naturally intelligent and wishing to learn, fond of cold veal pies, green tea in the afternoon, and a green window-blind at night. Ah, the poetic pangs of disappointed love! Back to the article again, because this is good stuff. Now, newly discovered family letters suggest that the mystery man was none other than Jane’s old flame Mr Bicknall who was staying in Devon with his brother, a local doctor who specialised in dropsy – an affliction from which Jane’s mother suffered. So it seems the family went to Devon because of Mrs Austen’s ill-health, whereupon the couple seized the chance to rediscover each other, spending idyllic moments together in the seaside resorts of Teignmouth and Sidmouth. The budding romance was so successful that Bicknall toured the West Country with the Austens and then promised to visit them at Steventon. However, something then went badly wrong. Bicknall never turned up – why is not entirely clear – but the Austens allegedly received a letter claiming that he had died. The details of this letter remain a mystery, but one theory is that it was forged by a jealous Cassandra to sabotage her sister’s love affair. Whose theory? What? Are we back to making stuff up again? His bride was a Miss Lewis. So why did Jane’s sister lie? The new theory is that Cassandra, whose own clergyman fiance had just died, loved Bicknall herself and had convinced herself he preferred her to Jane. Cassandra gave an inkling of how she felt when she confessed to her niece, in the understated way of the period, that she was so fond of the Bicknall family that she kept up with Samuel’s brother until the end of her life. And there is other evidence suggesting a jealous rift. After Jane and Samuel parted, the correspondence between Cassandra and Jane suddenly dried up, leading scholars to conclude that either they stopped writing to each other because of their rivalry over the same man, or that Cassandra destroyed the letters after Jane’s death so her treachery could not be revealed. Seriously, what is the fascination with the burning of the letters? Not to use fiction as a historical source, but in Elizabeth Gaskell’s Cranford, after Miss Jenkins dies, her sister burns her letters. It’s not clear why, but it doesn’t seem to be considered an unusual thing; that they were nobody’s business except Miss Matty and her sister, and it would not be proper to leave them for others to read after Miss Matty’s death. It should be pointed out that Cassandra and Jane Austen were of the same generation as Miss Jenkins and Miss Matty. Cassandra wasn’t trying to “hide” anything, the letters were simply no one else’s business. Finished NA in 1803. Published S&S in 1811. Check your math. and although there were other upheavals in her life, including the relocation of the family home to Bath, much of her distress seems to have centred round the loss of her lover. Oh, sure, having to leave her childhood home forever to move to a city when she didn’t like living in a city, and then having her father die, and then having to move around in search of a cheap situation, and then move again to another city (Southampton), had nothing at all to do with it. What a crock. Poor Jane discovered the truth that Reverend Bicknall (the man in whom was invested all her hopes) was still alive in 1813 when she read in a newspaper about his wedding to Miss Lewis. Does that letter (which we quoted above) sound like someone who just found out the man she had loved and thought dead was miraculously alive and that she had been “betrayed” by her beloved sister into thinking he had been dead the whole time? Or is it just a newsy, snarky letter to a brother about a former acquaintance–a brother who would understand and appreciate the snark? We report, you decide. But would she have found love even without her sister’s betrayal? What? That doesn’t even MAKE SENSE. You know, we’ve always suspected there’s more to the whole Mysterious Suitor-by-the-Sea thing than meets the eye, but we’ll never know, so we haven’t let ourself get exercised too much about it. It’s a nice story, it’s nice to think about Jane having a boyfriend, even temporarily. We have a theory that Jane had a lot of flirts, and we kind of hope that is true for a lot of reasons. We don’t need for her to have suffered for years over a romance, let alone to have eaten her heart out over men who were entirely beneath her notice and dumped her for other women, because how freaking pathetic is that? It’s the equivalent of pining after a guy you went steady with for two weeks in high school because he dumped you at the prom for the head cheerleader. 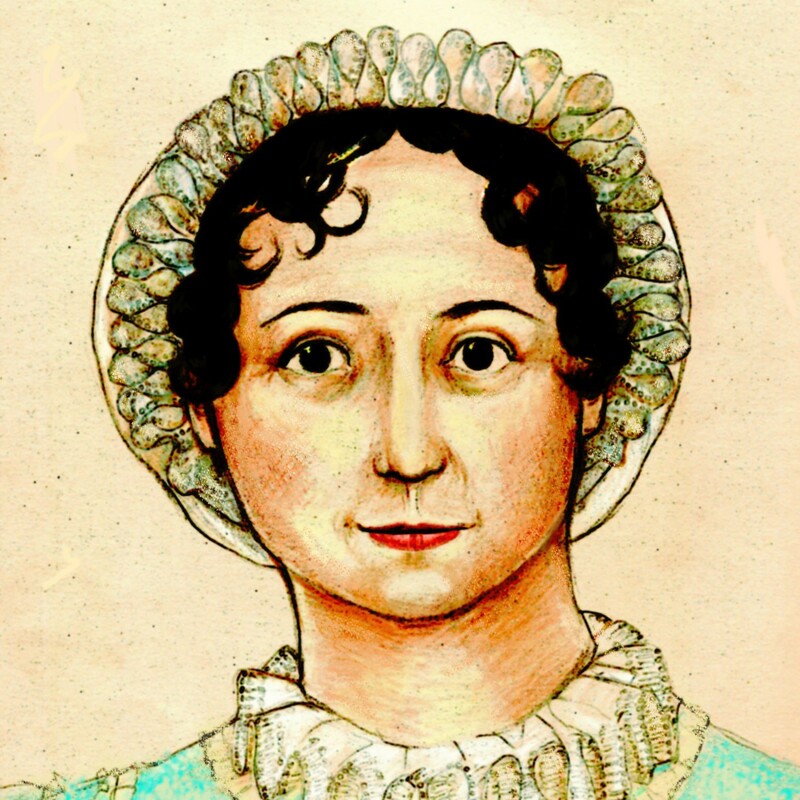 Jane Austen was many things, but she was not some pathetic girl who never got over her adolescent crushes. That’s it. Time to get this Cluebatting started. Batter up! Watch out, bro! Thanks to Alert Janeites Helen B., Lisa, and Laurel Ann for the link.